1. 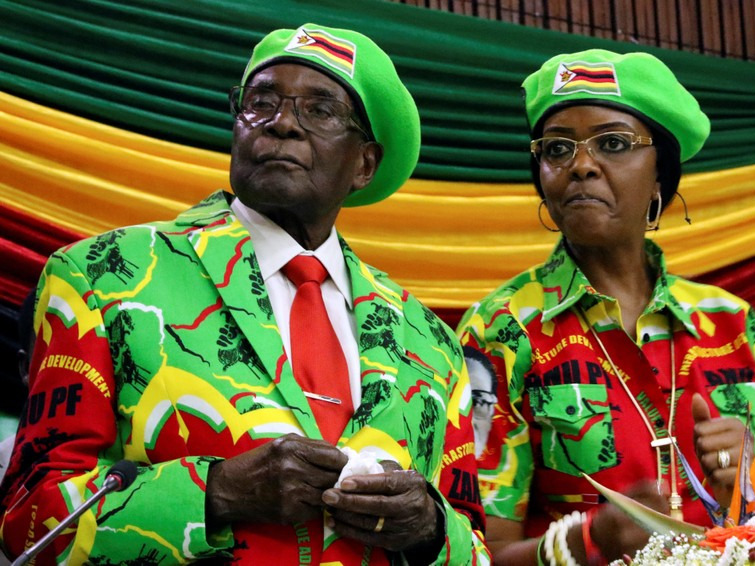 Chaos erupted in Zimbabwe prompting rumours of a coup. Multiple explosions were heard and soldiers stormed the state broadcaster before announcing their actions were "not a military takeover." 2. A survey from Bank of America Merrill Lynch found that investors think stocks are over-valued, but a record number recently took on increased levels of risk. Investors also think these risky positions are "crowded trades," meaning there could be a damaging rush to the exits. 3. DRW, a Chicago-based firm, is looking to set up a bitcoin trading desk in Singapore to dominate the cryptocurrency market in Asia. The firm has been in the bitcoin game since 2014 via its division Cumberland Mining, which already operates over-the-counter bitcoin trading desks in Chicago and London. Bobby Cho, the head of over-the-counter trading for Cumberland, told Business Insider the firm is preparing to start up operations in Singapore well-before year-end. 5. Warren Buffett's Berkshire Hathaway raised its stake in Apple by 3%, to 134 million outstanding shares, in the third quarter, a regulatory filing released on Tuesday showed. The conglomerate owned about 2.6% of Apple shares as of September 30, the 13F filing for the quarter ended September 30 showed. That made Berkshire the fifth-largest owner of Apple's outstanding shares, according to Bloomberg data. 6. David Lipton, the deputy managing director of the International Monetary Fund, has warned of the potentially "costly" consequences of the fragmentation of banking and capital markets in Europe in the aftermath of Brexit. In a speech at Swiss bank UBS' annual European Conference, Lipton — a former Clinton and Obama administration official — said that Brexit will serve to focus "our minds on the future of the financial system architecture," on the continent, but made clear that fragmenting functions is in no one's best interests. 7. Japan's Nikkei share average fell to a two-week low on Wednesday, with all sectors in negative territory as investors took profits following a two-month rally that pushed up the market by about 20%. The Nikkei ended 1.6% lower at 22,028.32, its lowest close since October 31. 8. Amazon will be worth $1 trillion (£763 billion) by the end of 2018, according to a bullish calculation sent to investors by Morgan Stanley. The bank also predicted the firm could hit a $2,000 (£1,526) share price in the next 12 months. The major reason: Amazon has built several fast-growing businesses on top of its core, massive retail business. Specifically, there's Amazon Web Services, advertising, and Prime subscriptions. 9. Reddit, the "front page of the internet" that has been ravaged by scandals in its 12-year history, is considering an initial public offering, CEO Steve Huffman reportedly said at an Internet Association summit in San Francisco on Monday. "The time frame is pretty far out,” he said, according to Variety, adding that going public is "the only responsible choice" for the company going forward. 10. A London-startup headed by a Credit Suisse veteran is launching a new debit card that it claims will allow people to spend cryptocurrencies across the UK. The London Block Exchange (LBX) launched on Tuesday. It plans to launch a sterling-to-cryptocurrency exchange and a Visa debit card, dubbed "Dragoncard," that will allow people to spend bitcoin, ethereum, ripple, litecoin and monero across the UK. The startup plans to add more cryptocurrencies in future.